Karen Williams’ success as a businesswoman, educator, and leader are testament to her ability to make smart calculated decisions, and her self-described scrappiness. Her long, winding, and triumphant journey has taken her through many paths and many pivots. A journey that started, right here, at UCLA. Williams looks back at her undergraduate years very fondly. Initially enrolled as a pre-med student, Williams soon switched her major to economics. She fondly recalls that she really began to thrive when she switched her major, believing that she found her true calling. She enjoyed being able to take a variety of courses and emphasizes how UCLA allowed her to become an open-minded individual. She initially wanted to work in a more creative job, but unfortunately that was not financially feasible. Like so many students today, she had to find a way to merge feasibility with her passion for creative endeavors. After receiving her B.A. degree, Williams moved to the East Coast to work as an auditor. She urges all Californians to leave California and see what awaits outside. After working as an auditor for 4 years, Williams concluded that she was not able to utilize her creativity and critical thinking skills at her job. She knew it was time for another pivot. Williams decided that her true passion lied in marketing and brand management and decided to enroll in an MBA program to pursue her goal. With a desire to build a stronger business and leadership foundation, Williams came back to pursue her MBA at UCLA Anderson. While at Anderson she was a part of the Executive Board of Women’s Business Connection and a member of the Marketing Club. Williams recalls being very involved during her time at Anderson because the atmosphere was very conducive to her success. It was as if she had found her way back home. With lifelong friends at her side and indispensable skills she gained from UCLA, Williams was ready to venture into the marketing and brand management industry. She started her career in Brand Management at Johnson & Johnson, and Sara Lee. A few years later Williams began her journey in the media industry. Williams says that she had always been drawn to the media industry. “I used to hang out with Theatre, Film, and Television majors and interned in CBS studios for a quarter (as an undergraduate)” she recalls. She describes working in marketing using the analogy of a candy shop. “I feel like marketing is similar to being an entrepreneur, it’s like managing your own little candy shop, it’s the closest thing to general management.” She highlights the structural differences between a regular corporate role and working for entertainment media. At the time, there was very little training for fresh undergraduates. She learned how to dive into a problem and tackle it using her scrappiness and resourcefulness. Needless to say, her educational background proved to be a valuable asset. She believes that since then many higher-education institutions have improved their process for preparing students for industry roles. Anderson Center for Management of Enterprise in Media, Entertainment & Sports (MEMES) being one of them. “When I went into the industry in the 2000s, something like that never existed” she comments. Enthusiastic about these changes, Williams chose to be a part of them. This brought her to the next big pivot. She began her career as an educator and leader. Williams emphasizes the timing of her shift from the private sector to the public sector. 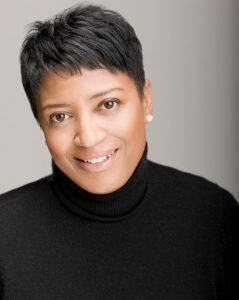 Feeling as though she had reached all her goals in the media industry, Williams thought it would be best to transition while she was ahead of the curve. Williams started her career as an educator and counsellor at USC Marshall as a MBA career advisor. Later, she was recruited by Anderson as an executive director at MEMES. She advises students to thoroughly think about their decisions and to “take a step back before you take a step forward.” As someone with a lot of wisdom in career development, Williams underscores the significance of leadership. She emphasizes that leadership is not only leading people but also leading processes and plans. She stresses the ability to lead from point A to point B with dedication and responsibility. Williams embodies this philosophy through her actions as Director at MEMES. Some of her projects like the Big Data Conference and MEMES Summer Institute have become an important of the Anderson experience. The next pivot in Williams life came, when she decided to pursue a challenge very close to her heart. Williams mentions that although Black, Hispanic and Native Americans make up 30% of the population, they only hold 3-4% of senior leadership roles. This motivated Williams to join Management Leadership for Tomorrow (MLT), an organization that offers mentorship programs for rising leaders of color. Starting out as a counsellor, Williams is now helping disadvantaged students succeed in an increasingly competitive world. Diversity and inclusiveness carry a special meaning for Williams, and she looks forward to taking on larger roles at MLT in the future. Williams’ passion for educating the next generation of leaders is reflected in her work outside her day job. From the President of the Anderson African American Alumni Association to Advisor for the Academic Advancement Program, Williams has always been involved with the UCLA community.In the future, she wants to continue giving back to the UCLA community. Williams’ biggest advice for undergraduate students today is to “understand the way that leads to your end goal and figure out where you have gaps, and then create S.M.A.R.T. goals to fill these gaps”. This is something she has done in her own life; and if we look at the success she has achieved, the effectiveness of it is self-evident.